Is it possible to start side hustling even before working a full-time job? If you consider yourself an entrepreneur, perhaps you’ve already “side hustled” for as long as you can remember – running a lemonade stand during the summer, selling candy during lunch, or tutoring other students for a fee (but certainly not writing their papers for them!). Let’s take a closer look at the definition of a side hustle, some good side hustle ideas if you’re just getting started, and how side hustling can help you reach your personal and financial goals – even if you don’t consider yourself a “natural entrepreneur” like the person described above. 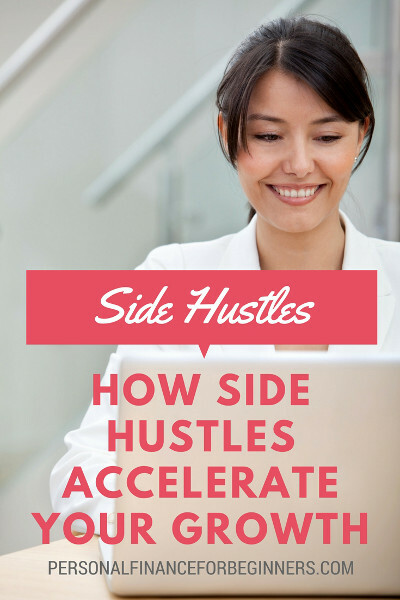 The meaning of a side hustle is simply a way for you to earn additional income outside of your primary day job. Side hustling doesn’t have to involve starting your own business. Even if you don’t have dreams of founding the next billion-dollar startup, you can find a side hustle that provides meaningful work and income. There’s no shortage of side hustle ideas out there. With a little creativity, you can find something that fits your skills, interests, and resources. Most side hustles require just a couple hours and a few dollars to get started. A side hustle can help you reach your personal and financial goals more quickly by increasing your income, pushing you to learn new skills, and encouraging you to develop new relationships with those around you. The best part? Unlike traditional employment, there’s no limit to how much money you can earn (although that doesn’t mean it’s easy money), and you can choose to focus on the work, skills, and relationships that appeal most to you. A side hustle offers tremendous flexibility. You can often work on your side hustle for as much or as little time as you like, fluctuating your involvement to match your life goals and priorities. Diversifying your income builds security and peace of mind. By having an additional source of income, you can not only use that extra money to pay down debt or boost your savings, but the money also doubles as a safety net if you are let go from your day job. Building a side hustle can provide additional purpose and meaning. A side hustle offers all of the major components you need to stay motivated and provide satisfaction: autonomy (control over your work), competency (the need to master new skills), and connection (with mentors, peers, or customers). A side hustle offers a change of pace from your day job. Side hustling can provide an opportunity for you to “escape your day job” by encouraging you to focus on new goals, ideas, and relationships. Pursuing a “passion project” in your free time will provide a break from your 9-5 routine while introducing variety into your daily activities. You can develop skills that will help develop your career. That’s right, side hustles and career development don’t have to be at odds. You can use the skills and relationships from your side hustle to negotiate a raise, qualify for a promotion or new job, or even pivot careers altogether! You don’t need to become an entrepreneur to enjoy the benefits of side hustling. While you may choose to start your own business, many side hustlers instead opt to earn money from existing opportunities, such as a part-time job or self-directed work like driving for Uber. The key to enjoying these side hustle benefits is to start today! You can start by making a list of side hustles that may interest you, but don’t stop there. Create a plan to earn that first dollar, whether it’s offering your first rider as an Uber driver or publishing your first post on a new blog. No matter your skills or interests, you can find a side hustle that works for you. Earning money through side hustles requires hard work, patience, and discipline, but the benefits are clear: you will enjoy greater financial opportunities and emotional peace of mind. Fellow side hustlers, how have you seen your side hustle improve your financial situation, provide meaning and peace of mind, and otherwise bring value to your life? I’m such a fan of the side hustle! I really like the diversification aspect – my income is fairly evenly split between my FT job and side hustles, so if one area tanks, I’ve got a lot more going for me than if all my eggs were in one basket!